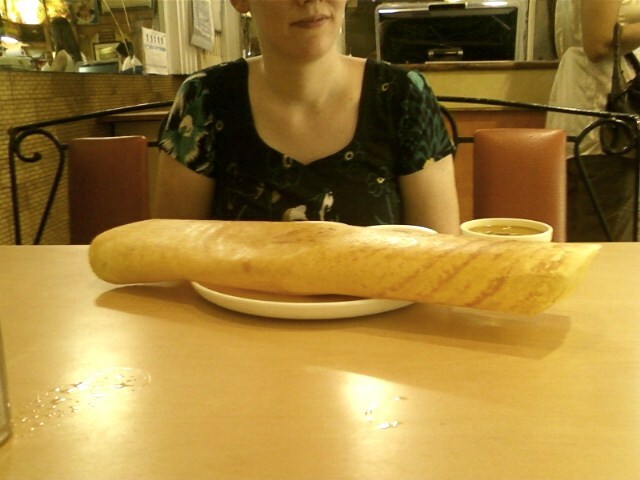 The dosa is a huge plate of food, ya? Sometimes we like to order it for new comers to India--just to shock them when it arrives at the table. "What? I have to eat all this?!" 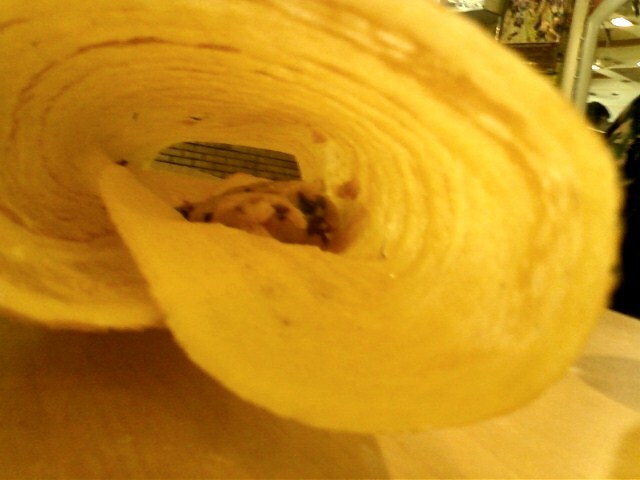 And inside, there's not so much, see? Just some potato and spiciness.